The Salmon River in upstate New York ranks as one of the world’s great fisheries, boasting two major records to prove it: the Great Lakes record chinook salmon (47 lbs. 13 oz.) and the world record coho salmon (33 lbs. 4 0z.) This fabulous, over 40-mile-long stream does it all, yielding up everything from a mess of panfish to a trophy wall-hanger. FISHING THE SALMON RIVER is the first book to detail the where and how of fishing this outstanding length of water, with notes on all the significant fishing spots and the tackle, techniques, and strategies to best approach them. The river hosts a wealth of fish species from coldwater varieties like Atlantic, chinook and coho salmon, brook, brown and rainbow trout; to warmwater species like bass, pike, catfish and panfish. Author Spider Rybaak has fished the entire length of the Salmon River intensively for many years and can help any angler, from newcomer to veteran, put more fish on the line. 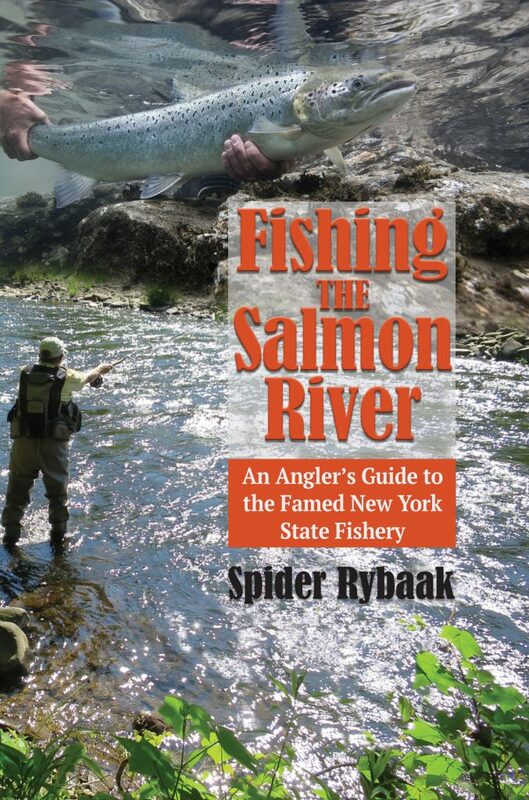 Spider Rybaak lectures frequently on fishing in the area and is the author of Fishing Oneida Lake, Fishing the Adirondacks, Fishing the Great Lakes of New York, and other books. He lives in Canastota, NY.